For over a century, the modern city of South East Asia ‘Singapore’ has been considered to feast other countries with their well modified city , culture, the sky scrapers and of course their town of modern technology. 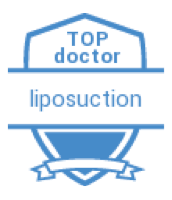 Now we are here to feast you with the modern technology in the field of cosmetic surgery. Our team is proud to introduce the global growth of our professionals to this smart city highlighting the expertise and their professionalism in the surgical wing to make you feel safe and secured. Accessibility, affordability and readily reachable over the internet are our sensible approach to make you feel home. Above all, our traditional shopping centers will keep you refreshed and engaged to combat the boredom post-surgery after complete recovery.